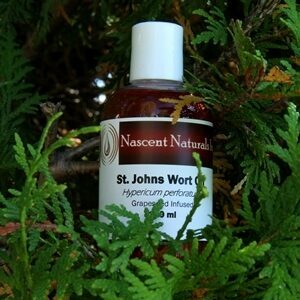 St Johns Wort Oil – Nascent Naturals Inc.
St. Johns Wort Oil – Hypericum perforatum Canada This is a macerated oil which has a deep reddish wine colour, and a peculiar aroma that is quite “medicinal”. 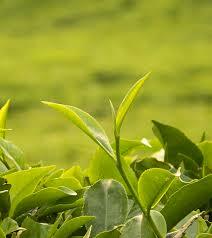 It’s most popular use is as an anti-inflammatory agent which is effective in soothing soft tissue. This is a macerated oil which has a deep reddish wine colour, and a peculiar aroma that is quite “medicinal”. It’s most popular use is as an anti-inflammatory agent which is effective in soothing soft tissue injuries (sprains, bruises etc. ),, sciatica, fibromyalgia and any other instances where nerve tissue has been damaged. Usually macerated in an olive oil, almond or *grapeseed oil base. Use caution with this oil in the sun as it has been reported occasionally to cause photosensitivity in some people. We make our own St. Johns wort to general Pharmcopea standards, using grapeseed oil. We find that the grapeseed has exceptional qualities to draw out the medicinal properties of the plant. We do not use olive oil as it adds another noticeable odour to the oil as well as a greasy feel. Since our market is selling to Aromatherapists and natural product manufacturers, our customers enjoy this oil because it has less odour, is far more stable with higher absorbency. Creams / Lotions: Add up to 5 % to any one of our all natural plant based cream or lotion bases to increase skin absorption .